Saxton On Cars: 2020 Range Rover Evoque Debuts In U.K. 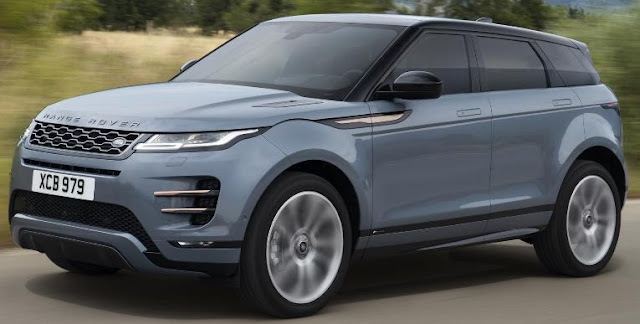 The 2020 Range Rover Evoque, all-new second generation compact SUV, is powered by an all-new 48-volt 296-hp mild-hybrid powertrain available alongside a 246 horsepower Ingenium four-cylinder gasoline engine. Additional details and U.S. pricing to be announced at the U.S. debut of the new Evoque at the 2019 Chicago Auto Show in February.